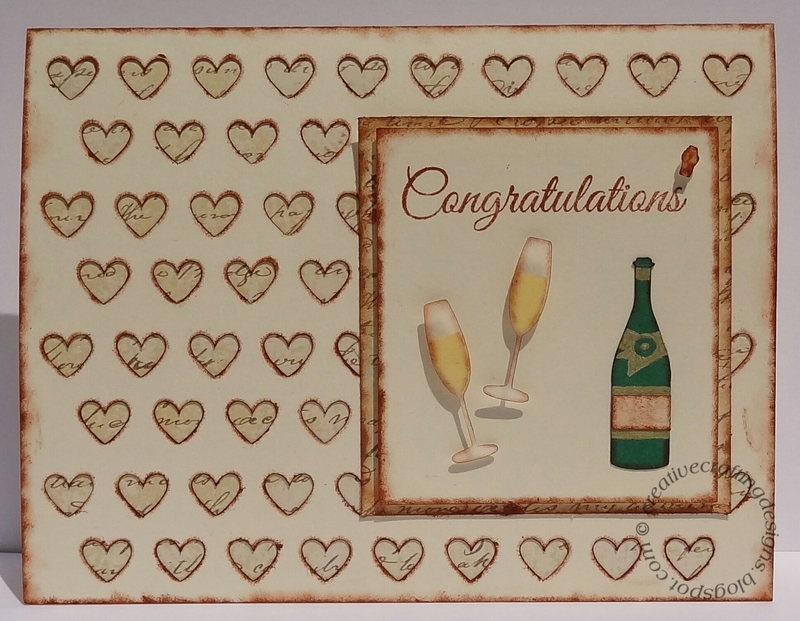 Today I have a card to share that I created for Die Cuttin’ Diva’s Wedding/Anniversary Challenge as a guest designer. The card background is an SVG digital cut file from My Treasured Kutz called Heart Background Card that I cut with my Cricut Explore. After I cut the card out I used a disposable lip applicator to ink inside the hearts getting all the hearts edges. I then added some script paper to the back. I absolutely love how it came out. The champagne bottle and glasses were cut with the Champagne and Glass metal die by My Treasured Kutz and my Sizzix Big Shot. The cork and glasses were attached using foam tape to make them pop a little. And, of course I added ink to just about everything else because I love inking, lol. 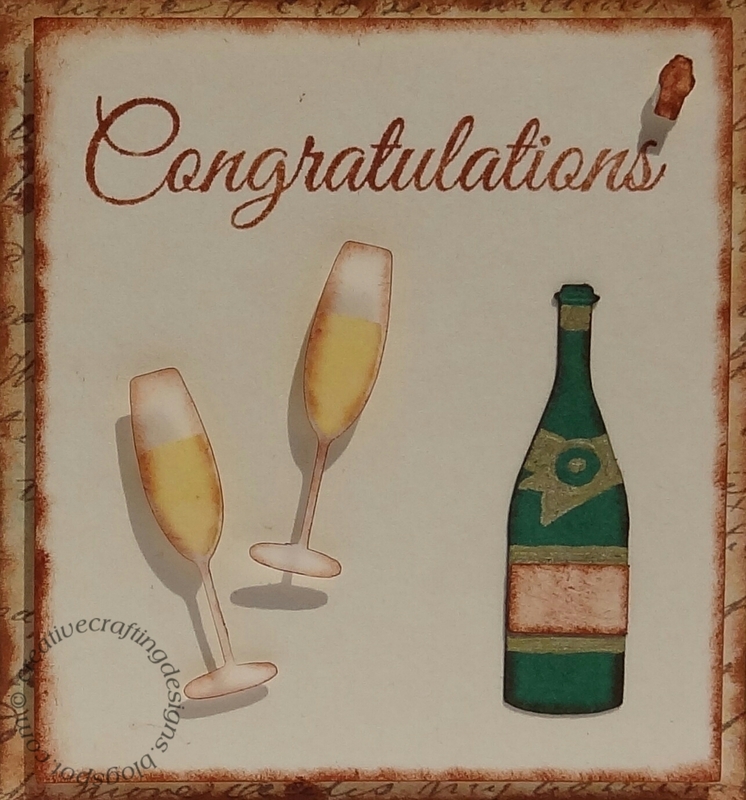 Oh, let me not forget the word “Congratulations,” it’s a stamp from the Jaded Blossom stamp set Simple Saying.